Music...It's deep in our roots. We live it, breathe it and make it kick! In 1973, KICKER's Livin' Loud legacy began as a two-man operation, hand-building professional-speaker systems in a narrow one-car garage. With very few resources and an intense love for music, company founder and current president Steve Irby invented the mobile-stereo enclosure market from his Stillwater, Oklahoma community, when he developed the Original KICKER. It was the first full frequency-range speaker box designed specifically for cars and trucks. 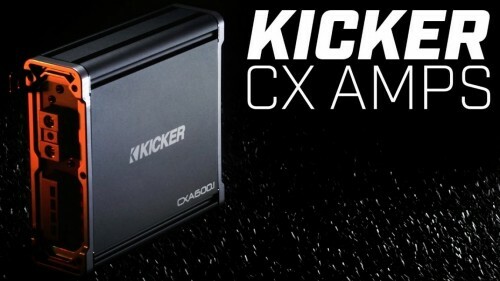 From that historic moment, delivering concert-like audio quality across a wide volume range with renowned bass and accurate sound has always been the KICKER way.